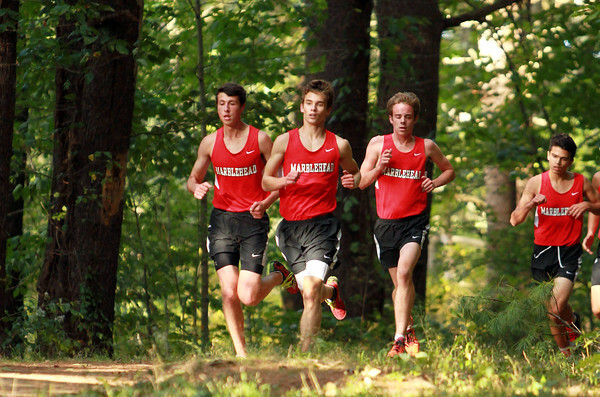 Marblehead junior Adam Linsky, senior Hillman Hollister, and junior Michael Weidenbruch, run in a tight pack against Beverly on Tuesday afternoon. DAVID LE/Staff photo. 9/23/14.